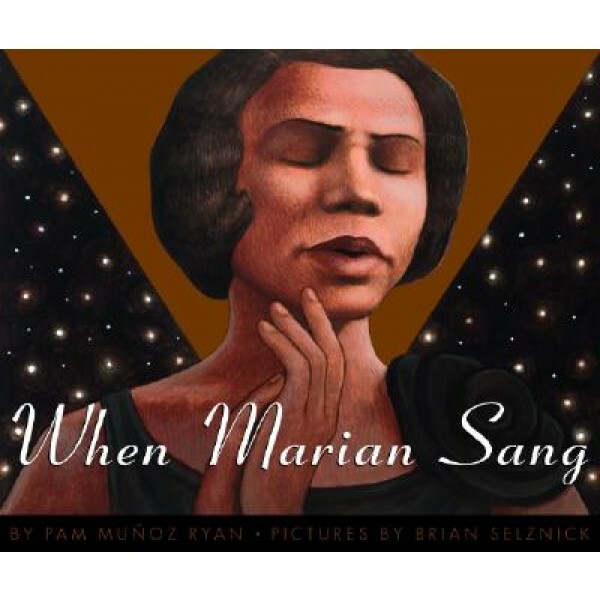 A harmonious introduction to one of our country's most important singers, Marian Anderson, Anderson is best known for her historic concert at the Lincoln Memorial in 1939, which drew an integrated crowd of 75,000 people in pre-Civil Rights America. While this momentous event showcased the uniqueness of her voice, the strength of her character, the struggles of the times in which she lived, it is only part of her story. Like the operatic arias Marian would come to sing, Ryan's text is as moving as a libretto, Selznick's pictures as exquisitely detailed elaborately designed as a stage set. What emerges most profoundly from their shared vision is a role model of courage. For more stories of female singers and artists, visit A Mighty Girl's Creative Arts section. 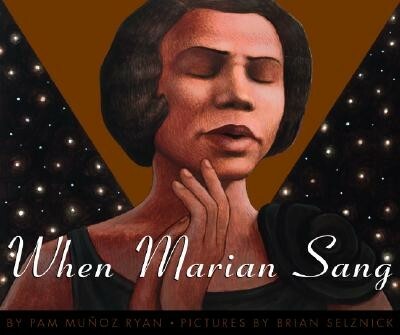 As this skilled duo did with Amelia and Eleanor Go for a Ride, Pam Muñoz Ryan and Brian Selznick bring to life the story of yet another remarkable American woman, gifted black contralto Marian Anderson. Undoubtedly one of America's greatest singers, Anderson was hardly known in her own country because of her race -- music schools ignored her applications ("We don't take colored!") and even after she began singing professionally, many venues only featured white performers. Ryan's well-paced story becomes especially poignant as she recounts Anderson's overwhelming success in Europe ("one newspaper in Sweden called it 'Marian Fever' ... In Austria, the world-famous conductor Arturo Toscanini announced that what he had heard, one was privileged to hear only once in a hundred years"). The book reaches its climax with a wordless, deep brown two-page spread from Selznick, a crowd's-eye view of Anderson singing at the Lincoln Memorial in 1939, an historic concert that drew an integrated audience of over 75,000.